JOHN THE BAPTIST TV - "Kundalini Warning" - Andrew Strom, Paul Washer, Ray Comfort, Leonard Ravenhill	» “Why I Left the Prophetic Movement” – Nov 4, 2004. “Why I Left the Prophetic Movement” – Nov 4, 2004. It is with great sadness that I make the following report. I said last week that the ‘Whitedove’ conference in Kansas City this past weekend would be a pivotal one. It certainly was pivotal for me personally. I wish I could say that there was deep repentance – that the preaching was incredibly anointed and the crowd were on their faces crying before God. I wish I could say that, but I can’t. In fact, it seemed to me that the opposite was true. The saddest thing of all is that many people probably came away from this conference saying how “wonderful” and “uplifting” it was (-just as they always do). But I have to tell you, I was grieved to the core by it. Many parts of it I would even describe as spiritually “sick”. Some people believe that the fall of Paul Cain into serious sin is some kind of aberration – just one individual’s problem. But I am convinced that the fall of Paul Cain (-who was recognised worldwide as the ‘father’ of this movement) is a symptom of a much wider disease. The whole movement is sick. As I have stated in previous articles, the ‘Prophetic’ as we know it is really a “fallen” movement – since the early 1990’s. But I always held out hope that it would somehow turn around and get back on track again. In fact, I believed that this conference was a heaven-sent opportunity for that to happen. However, after what I saw this weekend, I no longer believe this is possible. The deception is now too deep. This movement is being “given over to believe a lie” and I want no part of it. I am cutting myself off, because I cannot afford the disease to spread into what we ourselves are doing. Things have now gotten so bad that we have to separate ourselves – and to do so publicly. As you know, I requested special prayer from you all last week that a true spirit of Repentance might prevail in this conference. The reason I made this request was because God had woken me up at 6 am the previous Friday and given me a strong word about the conference. (God only wakes me up like this quite rarely – perhaps five times a year). The word He gave me was that this must be a ‘repentance’ conference – that this was in essence the “last chance” for the Prophetic movement because it had become more and more corrupt – centered around money and ‘ear-tickling’ words, false prophecy and so-on. This was a gathering of KEY prophets at a moment in time when the ‘father’ of the movement had just fallen. It was God’s ideal moment for a truly “solemn assembly”. (And yes – I did write and pass this word on – in person – to the three main leaders of the conference). However, what actually eventuated at this event seemed to me to be more akin to a circus than a solemn assembly. The music, the concert-style lighting, the stage dancers, the groaning tables stacked high with books and CD’s for sale, the ‘ear-tickling’, the hype, the $40.00 door fee (plus extra offerings taken each session) – and that’s just for starters. What really bothered me about the weekend was the total lack of any truly ‘prophetic’ preaching. There was some good stuff on Self-pity and Bitterness right near the start, but after that it was mostly downhill. As always, there were plenty of anecdotes and tales of angelic visitations, etc. There were Scriptures quoted and a few helpful insights. But as far as a message that truly pierces and challenges and convicts – well, don’t go looking for that in THIS prophetic movement! In fact, there were warnings AGAINST any message that might come across as even slightly “condemning”, and there was even one of those cute talks on the need for “loving oneself”, etc. Today’s prophets seem to talk a lot ABOUT the ‘sword of the Lord’ but never actually bring it to bear. They bring no piercing word. And thus the entire movement is open to great deception. And instead of REPENTANCE, people are getting all kinds of counterfeit spiritual experiences. There seems to be almost no discernment at all. The ON-STAGE DANCING throughout this conference was a good example. Now, I myself am a rock musician, but from the beginning these dance items had a rather ‘wild’ aspect to them that truly made me uncomfortable in my spirit. There was even one that came across like a sensual ‘Harem’ dance. Much of it really felt “off” – and almost anyone who sees the videos will tell you so. Even the worship had a very “tribal” feel to it at times. And by Day Three they were doing dance items with just loud voodoo-style drums only – and leaping around in a frenzied circle making weird cries to the super-amplified beat. The feeling in the room was so oppressive and “pagan” during this, that I could hardly even bear to stay in there. Then came one of the most shocking statements of the whole conference – from one of the main prophets. He got up and said that people may feel uncomfortable with such obviously “pagan” type dancing, but that it was originally God’s type of dancing and we were just now ‘stealing back’ what the pagans had stolen from God! I have to admit, this was the last straw for me. What could be more blatant? What kind of ‘spirits’ do they think are being transmitted to people who open themselves up to that music? There is no discernment in this movement at all. Now, I do not primarily blame the dancers. They were young and possibly immature. (-They weren’t actually from ‘Whitedove’ itself). Clearly, most of the blame lies with the main prophets who invited them in and openly endorsed and promoted what was happening the whole time. They would get up and publicly acclaim these dance items, thus ensuring that the spirit of it would pervade the entire event. And indeed it did – more and more. Remember, most of the major “movers and shakers” of the Prophetic movement were at this conference, going along with this stuff. I repeat what I said earlier: This movement demonstrates absolutely NO DISCERNMENT. I urge everyone to GET OUT NOW, before even worse is brought in. I believe this movement is RIGHT NOW being given over to deception by God – and it is going to get much worse. Even the ‘spiritual’ moments in this conference often had strong touches of “Charis-mania” excess about them. And this was not the ‘harmless, silly’ kind of excess, either. 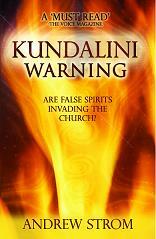 It was at a level where I believe demonic spirits of deception were clearly at work. By the last session the audience was so hyped that they threw away all inhibition and leapt into the ‘pagan’ dancing themselves with wild abandon. And one of the main prophets even got up and announced that there were angels in the room going around “blowing on peoples’ fingers” if only they would lift them up in the air. That particular part sounds silly, but actually the whole thing by this stage had become awful beyond words. Virtually every day I came home utterly grieved and depressed. I had come to this conference with great expectancy and hope, thinking that the return of Bob Jones may bring a renewal of all that was originally good about this movement. I literally came as a ‘friend’ and they turned me into an enemy in the space of three days. -The giving and receiving of “ear-tickling” words. -The giving and receiving of money in expectation of prophecy. -False words and false teaching. -The lack of a true Repentance message. -The spiritual ‘blindness’ that allows familiar spirits and spirits of divination to flourish. -The failure of this movement to judge itself, meaning that God must judge it. -The idolising of well-known prophets – placing them on a pedestal. Well, obviously, with great sadness we must now totally cut ourselves off from today’s Prophetic Movement. Any related links and articles will be removed from our web-site immediately. As you know, for some time now I have spoken of the ‘John-the- Baptist’ type ministries that must arise to preach REPENTANCE in the Western nations. -Preachers of righteousness with a piercing word, like the Finneys, the Wesleys and the Whitefields of old. Such ministries are essential for true Revival to come. I now see that this new move must completely “separate itself” from the influence of the existing Prophetic movement. We need a completely ‘NEW’ Prophetic, and to keep it from being tainted by the sickness that has infected the old, there must be a complete cutting-off and a “leaving behind”. I urge all of you to take this before the Lord for yourself. We live in very dangerous times, and I believe the old Prophetic literally stands under the judgement of God. For our ministry in Kansas City, what this means is that we have to go right back to the original calling and mandate over this city, and build on that. We cannot build on the movement that came after. The 21 days of prayer and fasting, the comet that came, and the comission to preach Repentance to the Lukewarm church – these were all foundational elements. So too were the four standards of “Holiness of heart, Unwavering faith, Day and Night prayer, and Extravagant Giving to the Poor”. The original Prophetic move here seemed to be relatively pure for only a few years – and then quickly became a quagmire. So we have to stick to only the original foundations – and build on that. Our Sunday night meetings in Kansas City will certainly continue. There were prophecies last year that a ‘new’ prophetic – a “second phase” was about to begin. I do believe this. But what we need to make sure of is that it does not become ensnared in the garbage of this previous movement. It must be totally NEW. I would ask that you forward this announcement to as many Lists as you can, and to your Christian friends. We want it as widely known as possible that we have cut off all relations with the current Prophetic movement – and why we did it. As you can tell, it has been a terribly sad and devastating weekend for myself and my family. We would truly appreciate your prayers at this time, my friends. Posted in Articles by Andrew on April 19th, 2010 at 4:09 am. Previous Post: HOW TO HAVE A “PERSONAL” REVIVAL Next Post: The 14 PREDICTIONS – ARE they STILL ON TRACK? ?